Continued on from where he left off last year with a superb outing in defence against the Crows. Picked off plenty of opposition attacks as he amassed 26 disposals and took ten marks. Andrews ruled the Brisbane backline with an iron fist, and that fist was used to great effect, getting his knuckles on the ball time after time as West Coast struggled for scoring opportunities. Ended up with 20 possessions and six marks. We have a mouthwatering contest between Andrews and Ben Brown to look forward to next Sunday. The Swans were outplayed for majority of the night, but gun defender Lloyd can hold his head high. Provided plenty of run with 35 touches at 85 per cent efficiency, while he hauled in ten grabs. Was Melbourne’s best player on a bleak day for the red and blue. Had 32 touches, with 30 of them coming by foot. 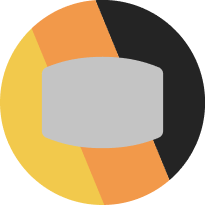 Used it well too, operating at 84 per cent efficiency. The heir apparent to Phil Davis had a sensational start to the season, blanketing dangerous Essendon forward Jake Stringer. Was a big reason why the Bombers were held to just five goals for the afternoon. One of Richmond’s best performers back on Thursday night against Carlton. Was his usual damaging self with ball in hand, going at 91 per cent efficiency from 24 possessions and seven marks. Had a great JLT Series and it continued into Round 1, the former skipper relishing his new role as more of an outside player in the midfield. 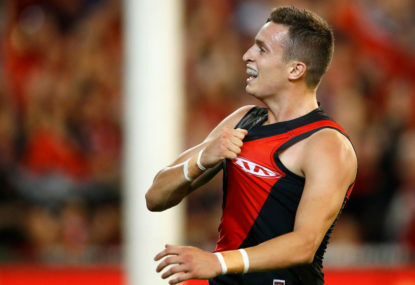 Helped himself to 34 possessions, took nine marks, laid eight tackles and got forward to put pressure on the scoreboard, however he was wasteful with 1.2. The captain set the tone for the Dockers, destroying the North Melbourne midfield with a hard-nosed performance. Racked up 32 disposals, a whopping 22 of them contested, while he won ten clearances and kicked a goal. The Roos simply had no answer for him. The smooth-moving Lion was critical to his side notching its first win over West Coast in nearly seven years on Saturday night. 20 touches, four marks, five tackles and a goal at 85 per cent efficiency. With competition from Tom Stewart, McCluggage is arguably becoming the best player from the 2016 draft. Another player from the 2016 crop of draftees who is developing at a rate of knots, Taranto was sublime against the Bombers. 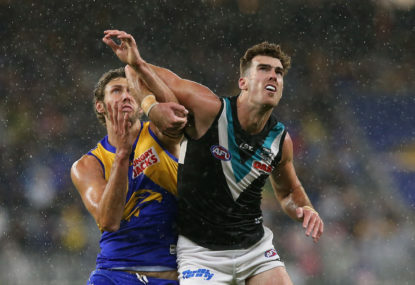 Was a menace in the middle with 30 possessions, 13 of them contested, eight clearances and ten tackles, but he was also terrific up forward, supplying two goals. Could have used the ball a bit better. Where did that come from? Ushered into the side given the recent developments down at Fremantle, McCarthy took his chance with both hands. Not only did he boot an equal career-high five majors, he continuously provided a presence in attack, amassing 20 touches from five marks. 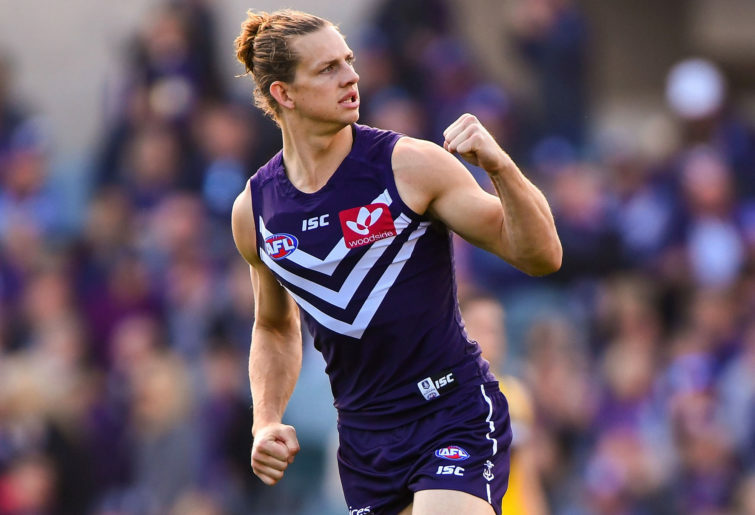 All of a sudden, Fremantle just a got a whole lot more interesting with an in-form McCarthy inside 50. Missing stars Callan Ward and Josh Kelly, the Giants needed a lift from their remaining midfielders and Coniglio provided it in spades. His 31 disposals, seven clearances, nine marks, seven tackles and three goals make him the best player from the weekend for mine. Has always been a sublime talent, but could never show that on a consistent basis due to an unreliable body. 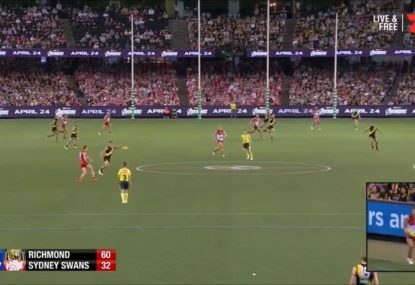 The move to the Lions could be the fresh change McCarthy needed to kickstart his AFL career, highlighted by his four goals on Saturday night against West Coast. Many eyebrows were raised when Luke Beveridge revealed that second-year defender Aaron Naughton would be used primarily as a forward option in 2019, but any doubts or worries were eased after Saturday night’s performance. Naughton was arguably the most dangerous player on the ground in the first half, booting three goals. As the Swans fought back after half time, the teenager went back and helped steady the ship. Like a fine wine, Westhoff keeps getting better with age. The 32-year-old sparked the Power towards an upset victory over Melbourne with his 18 touches, nine marks and five goals. Leading the Coleman after Round 1. The Tigers’ best player on Thursday night against the Blues, racking up 17 disposals around the ground, winning 34 hitouts and, critically, had an impact going forward with three goals. Was absolutely pivotal to the Bulldogs providing one of the biggest upsets of the round, given their poor JLT Series form. Bontempelli helped himself to 29 touches, took five marks, laid seven tackles and his match-sealing goal was very similar to the one he kicked in the 2016 preliminary final against the GWS Giants that put the Bulldogs in front late in the game. 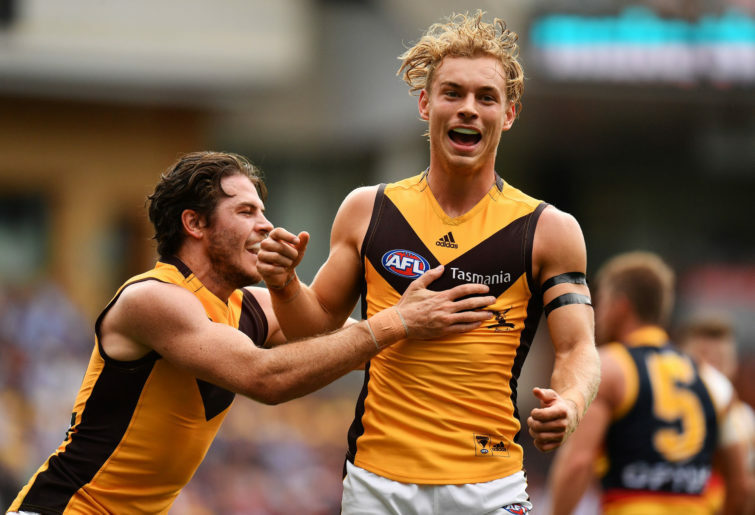 The biggest question mark surrounding Hawthorn going into the 2019 season was how Alastair Clarkson was going to plug the sizeable hole left by Brownlow Medallist Tom Mitchell and his unfortunate leg injury. We got a big look at that on Saturday as the Hawks upset the Crows on enemy turf. Second-year midfielder James Worpel was superb in the middle, amassing 27 possessions, 12 of them contested, winning six clearances, taking four marks and booting two goals. The newly-minted co-captain of the Crows was a shining light in a bleak performance from the club, winning 36 touches, 22 of them contested, 11 clearances, laying nine tackles and booting a goal. One of Geelong’s best players in a great team performance against Collingwood on Friday night. Kelly won plenty of the ball, gathering 31 touches, winning nine clearances and laying four tackles. 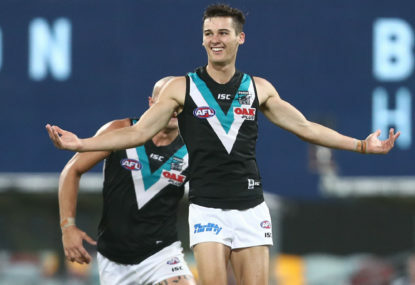 Similar to his teammate Boak, Rockliff was sublime in the pre-season after a so-so first year at the Power, and that form continued on Saturday at the MCG. Had the most disposals of any player across the competition with 44, while he took ten grabs and laid eight tackles. Unlucky not to be given the nod as the main ruck. Provided a terrific presence around the ground, collecting 18 disposals, taking eight marks, winning 23 hitouts and slotting two goals. Looks set for a breakout year judging by his performance against the Roos on Sunday. 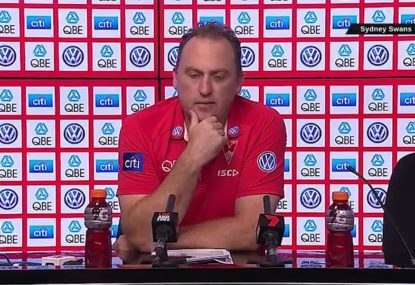 Had 24 possessions at 79 per cent efficiency, laid seven tackles and booted two majors. A great start to the year from Stanley, and he needed it given Geelong’s inability to settle on a number one ruck. Going up against arguably the best ruck in the game in Brodie Grundy, Stanley won 23 hitouts and six clearances from 18 touches and four marks. No surprises who Carlton’s best player on Thursday night was, with captain Cripps winning 32 touches, 21 contested, seven clearances and laying six tackles. Was part of a very solid Cats backline on Friday against the Magpies. The All-Australian gathered 26 possessions, hauled in seven grabs and helped take Mihocek out of the game.